Calls to the Ambulance company were made, apologies by them given, but that didn't help the fact that everyone had to wait until the correct crew arrived over an hour later. 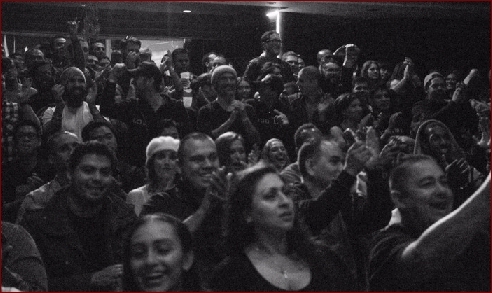 Still, the eager crowd was surprisingly patient, which was greatly appreciated by all of us behind the scenes. When the action started, it never stopped. 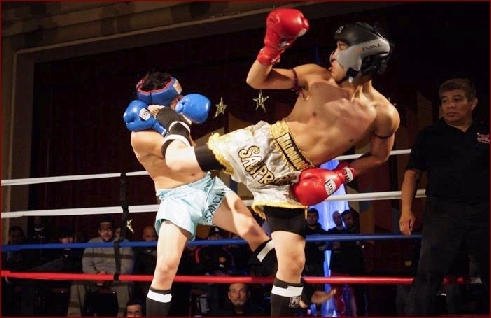 One by one each of the 28 amateur Muay Thai fighters made their way to the ring to do battle. most were beginners on a stage fit for a king. When it was all over, Gutierrez along with the Teamwork of his brother, wife and others on the Defiant Team were given the green light to sit back, take a deep breath and be proud of what they just accomplished. What they accomplished was a packed, standing room only house. 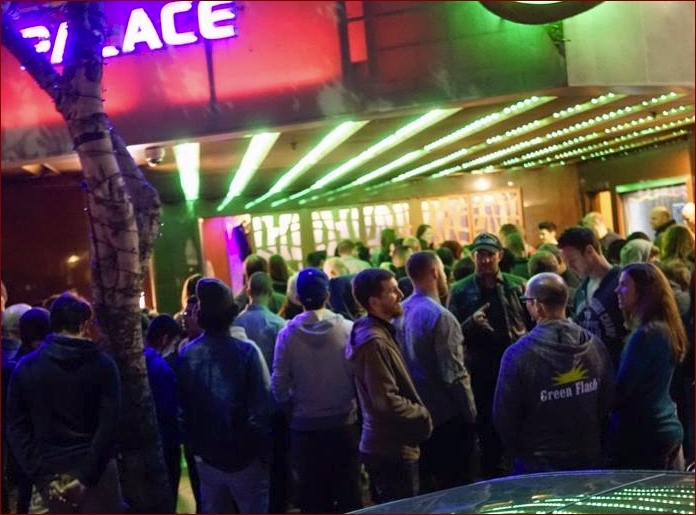 In fact, this was the first event where we were actually considering putting a stop to ticket sales because there was no where left for anyone to sit. 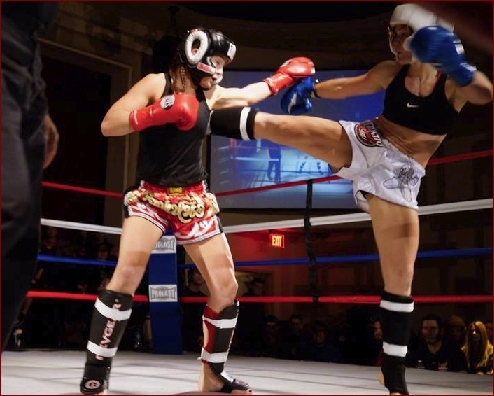 Still, all inside found a place they were comfortable with and enjoyed a great night of some great Muay Thai Action! 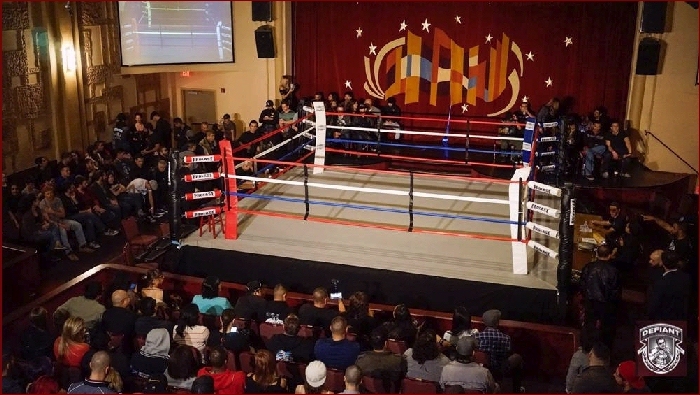 Gutierrez is looking at February 7th for his next event and if confirmed, you may want to put it on your calendar because you don't want to miss the next one. 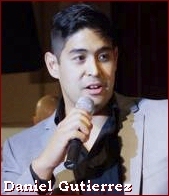 Congratulations to first time Promoter Daniel Gutierrez and his Defiant Promotions Team. All of us here at the IKF are looking forward to working with you more in the future. 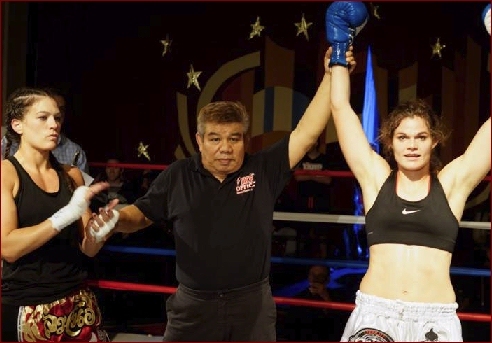 defeated ***Theresa Crowley (Placentia, California, USA, 2-3, 139.4, 5'8", 12-9-87, Bryce Krauss, (714) 504-3457) by unanimous decision, 30-27 on all 3 judges cards. defeated ***Jose Delgado (Los Angeles, California, USA, 0-1, 144.4, 5'8", 11-30-80, Mark Komuro, (213) 706-6827) by TKO at 1:59 of round 3. Jose Delgado has been issued a 30 day No Training/Competition Medical Suspension by Dr. Gatus due to TKO until JANUARY 13th, 2015.
defeated ***Eric Cisneros (Sylmar, California, USA, 0-1, AMMA: 0-1, 137.6 , 5'8", 12-6-94, Daniel Gutierrez, (818) 770-2291) by TKO at 1:59 of round 2. Eric Cisneras has been issued a 30 day No Training/Competition Medical Suspension by Dr. Gatus due to TKO until JANUARY 13th, 2015. 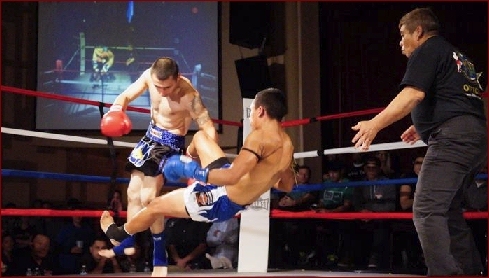 JUDGES: Kim Kongkriangkai, Marcos Guevarra & Vichai Supkitpol "Rex". defeated ***Ruben Ramirez (Los Angeles, California, USA, 0-1, 143.1, 5'7", 7-9-92, Roxy Richardson, (213) 840-5185) by TKO at the break of round 1 & 2. Ruben Ramirez has been issued a 30 day No Training/Competition Medical Suspension by Dr. Gatus due to TKO until JANUARY 13th, 2015. Judge Kim Kongkriangkai: 29-28, Hernandez. Judge Marcos Guevarra: 30-27, Mendoza. Judge Jim VanOver: 29-28, Mendoza. defeated ***Joseph Pizano (Glendale, California, USA, 0-1, AMMA: 0-3, 129.1, 5'5", 6-6-90, Franky Chavez, (949) 903-2511) by unanimous decision, 29-28 on all 3 judges cards. Judge Kim Kongkriangkai: 29-28, Mclinn. Judge Marcos Guevarra: 29-28, Tendilla. Judge Jim VanOver: 29-28, Mclinn. Judge Kim Kongkriangkai: 29-28, Hanks. Judge Vichai Supkitpol "Rex": 29-28, Adrian. 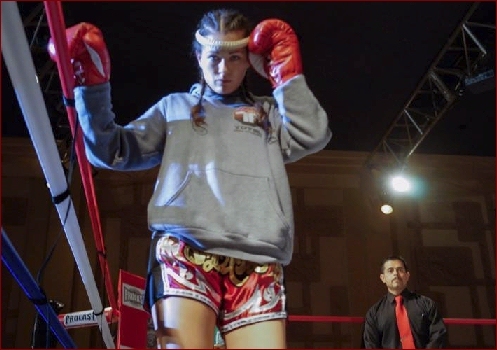 defeated ***Monica Mejia (Fontana, California, USA, 0-1/0, 125.4, 5'2", 9-25-90, Jessie Magusen, (909) 821-2156) by unanimous decision, 30-27 on all 3 judges cards.